I watched the segment on Good Morning America this morning about the Fat Acceptance movement. I’m all in favor of accepting yourself and loving yourself no matter what your weight. But I was very disturbed by the clear implication that if you stop dieting, you will gain 100 pounds like Marianne Kirby did. This is absolutely not the case. If you overcome emotional eating – a primary focus of my method, Normal Eating® – you will not stabilize at a morbidly obese weight. Countless people who have tried Normal Eating® can attest to this. This story – and perhaps the Fat Acceptance movement as a whole – does a disservice by implying that an externally prescribed diet is necessary to achieve and maintain a normal weight. Women watching this story will come away with the idea that if they stop dieting they’ll gain 100 pounds, which naturally will send them running to the next diet. But in fact, diets ultimately result in weight gain over 95% of the time – the yo-yo effect. Learning to eating normally – according to body wisdom – is the only long-term solution to weight problems. We need a movement in this country to accept normal-sized bodies. Most of the images we see all around us are underweight. But a fat acceptance movement that implies you will weigh 300 pounds if you stop dieting actually encourages people to continue dieting. This is a terrible disservice because diets don’t work. Wow, Sheryl. Great topic. I listen to a lot of different media–I enjoy different discussions and viewpoints–and the emergence of FA seems to represent some sort of “arch-enemy” to the health movement and diet industry. It’s a bipartisan structure and, in my humble opinion, having these types of “camps” where only one side can be correct, and the other morally wrong is scary and the wrong way to go. I agree that there should be a “normal relationship with food and body” movement–one that disposes of extremes, claims and morality. If people choose to gain hundreds of pounds because they’ve “given up” on the polar opposite, or if someone loses hundreds of pounds by dieting shouldn’t make a person morally better or worse–and each extreme should be treated as an extreme: nothing to aspire to. The advent of a body moderation movement–one whose point is for people to have health, enjoy food, enjoy their lives in moderation and celebration–is scary to the “moralizers” of the world, certainly, but they see the world in black and white. By letting go of extremes in favor of progress and happiness (happiness in a self-care sort of way, not a “all-chains-are-off-buffet-24/7” sort of way) I can only imagine that the people afflicted by painful body image disorders and food disorders might find peace and be able to work on their purpose. The tough part is that it’s hard to commercialize “moderation” and there isn’t much money in “becoming happy with who we are”. Our capitalist society (which I love dearly) doesn’t seem to promote what it can’t sell so I have hope that a) people will be able to find your book and books in the similar vein of yours and the message will become pervasive, like an under tow and b) I have hopes that people will eventually realize that “stuff” won’t fix the hole they’re trying to fill with food/compulsive exercise/shopping/whatever. My problem with “fat acceptance” per se is that you can’t become very fat – 319 pounds, like the woman in the GMA piece – without a lot of painful, compulsive overeating, and that is not fun at any weight. I abhor fat prejudice, but emotional eating is not good for the person doing it and doesn’t make anyone happy. I like the position that Yale’s Rudd Center takes. They condemn fat prejudice absolutely, but while they acknowledge some people are naturally a little heavier, they never say that being morbidly obese is a healthy option – physically or psychologically. I could never put my finger on what bothered me about the fat acceptance movement until I saw the GMA piece this morning about how Marianne Kirby gained 100 pounds after she stopped dieting. That is a very bad message to associate with the non-diet approach. Her weight gain isn’t from lack of dieting, it’s from emotional eating. In fact, the non-diet approach – eating normally, according to body wisdom – is the true path to permanent weight loss. I can definately see how one can gain that amount of weight because the diets protect us for some for some times from compulsive overeating. I have never been a big fan of the movement either because it ignores the health implications of being so overweight. My dad who has abused his body for years with food and alcohol and now he has serious health problems that are a result of this lifestyle. I’m all for acceptance, but I just don’t think the health part should be ignored. The FA movement is very reactionary, although I can’t blame them for being so considering all of the in-your-face diet messages and the “you aren’t good enough if you aren’t thin” propaganda we all face everyday. However, this message that “this is just the way I am,” i.e., 100 lbs overweight, ignores the obvious emotional connection to chronic overeating, compulsive eating, & binge eating. It’s a touchy thing to say “I accept myself completely but something is emotionally ‘wrong’ with me that’s making me binge eat.” I am not saying there ISsomething emotionally “wrong” with people — but in our society it seems doing something “emotionally” is often considered wrong, bad, or undisciplined. There’s that word again! So of course, this polarizes the issue; we’re either reigned in by dieting or we’re totally out of control balls of (emotional) eating. So why do we think we’re so out of control all of the time? What’s so ‘wrong’ with being emotional that it needs to be channeled into compulsive behavior that must then be controlled? Sheryl, this is a really interesting aspect of the FA movement. I wonder if there is a way to open a dialog with them about this. It seems obvious that if everyone stopped dieting we wouldn’t all gain hundreds of pounds, but I think people really do believe they would and also believe that people who are hundreds of pounds overweight simply refuse to diet. Dieting (leads to slow increase in weight over time as you lose and regain – 95% of dieters regain the weight plus some). Totally unrestrained emotional eating and compulsive overeating (leads to rapid weight gain). Eating normally, according to body wisdom (leads to long term maintenance of your normal weight). The difficulty in achieving #3 is that you have to break free from emotional eating and compulsive overeating. That takes time, but you can, as many who have tried Normal Eating can attest. The dangerous myth is that dieting is an effective way to control your weight. It is not. More than 95% of dieters regain all the weight they lost plus some within 2 years. You end up at a higher weight than when you started. You may gain more slowly than in the #2 scenario – uncontrolled compulsive overeating – but you still gain. The only long-term solution to weight problems is to overcome emotional eating and learn to eat normally again (as you did when you were born). I tried. I posted a comment on Marianne Kirby’s blog, but she deleted it. Interesting to note that it’s a censored blog! It’s a shame because I think it’s an important discussion. Fat prejudice is a very bad thing and this aspect of the Fat Acceptance movement is positive. But encouraging the idea that dieting is the only way to control weight is very damaging. Wow, she deleted your comment on her blog??!! Censorship on any issue is unacceptable to me when what’s being presented are differing opinions or perspectives. Doesn’t say much for the FA movement if no dissent is tolerated. There’s so much blame and prejudice in the whole subject of weight, overeating, fat, that it’s almost impossible to have any kind of dialogue at all. People are very sensitive and easily injured (understandably, I suppose), no matter what their position. What is wonderful in the NE approach is that it is the very exploring and connecting that makes the program work, the questioning and challenging and examination. I am so grateful. There are no taboos, and each of us is doing the journey our own way using the framework Sheryl has provided. She not only deleted it, she banned all further comments from me. I tried again, inviting her to discuss the issue here if she didn’t want to discuss there, but my comment did not appear. My original comment was by no means a flame. I said I abhorred fat prejudice, etc. – basically what I’ve said here. Oh well. Wow Sheryl! I thought I was being a bit harsh when I used the word reactionary, but I guess not! Blocking all further comments… that’s… something else, indeed! From my experience, fat-acceptance or Health At Any Size blogs are populated as much by people who simply don’t fit the current beauty ideal as by those who are morbidly obese. 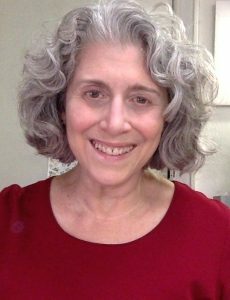 Yes, there are ways in which people can hide seriously disordered eating behind an acceptance-based movement, but there are lots of people in this movement who use it to *help* their relationship with food, in that they stop dieting and start accepting themselves, and the acceptance leads to normalized eating. I’m not discounting the comments here, just curious to me that I’ve never understood FA or HAES as promoting the idea that non-dieting leads to morbid obesity. More like a safe place of self-appreciation for people who are healthy and fit, and happen to have BMIs above 25. Agreed. Unfortunately for the Fat Acceptance movement and the Non-Diet movement, the person interviewed for the GMA story appears to have a serious problem with compulsive overeating. Worse, this person is a highly visible spokesperson for the Fat Acceptance movement. The piece was centered around the book “Lessons from the Fat-o-sphere” by Kate Harding and Marianne Kirby. I enjoy Kate Harding’s blog and I was never put off by her weight, which appears to be stable. No one gains 100 pounds in a year without painfully overeating. And there is no way you can argue that compulsive overeating is healthy or joyful behavior. I would guess that 100% of the overweight women watching that piece, who knew nothing else about the non-diet movement, started another diet on the spot. It’s one thing to be eating normally but your setpoint is elevated and you’re okay with that. It’s a very different thing to be in the grip of compulsive overeating, and gaining 100 pounds in a year. That’s not a good role model. Bottom line… the GMA piece conveyed a very negative and misleading picture of what happens when people stop dieting, and I thought that was shame. It is possible to gain a large amount of weight in a short time without overeating. Talk to anyone who has had weight loss surgery. I had a VBG and lost 80 lbs in 3 months (not the way I wanted to go, but done on the misguided advice of my doctor). When the VBG failed, I gained back every pound I had lost and then some, without overeating, and did it in less than a year. I weighed 350 lbs when I had the VBG, went down to 270 lbs, and back up to 375 lbs (I’m now steady at 393 lbs). I don’t overeat, in fact, my husband complains because he thinks I don’t eat enough (but I eat slowly and until I’m almost full, because if I eat until I’m full, I’m nauseous and uncomfortable). As for Marianne not posting your comment, it’s her blog and she can post or not post comments at her discretion, just like you have the option to not post comments from your readers if you don’t think those comments are appropriate. Thanks for sharing your story. I don’t know, well, anything really about VBG. I was under the impression that someone would have to eat compulsively to gain that much weight, so I appreciate hearing about your experience. I agree that it is Marianne’s blog and she can post or not post any comments she wants — I am just surprised that she would not want to discuss this. I’d love to have a dialog about it and to hear more people’s stories, like yours, as I’ve obviously been mistaken about how large weight gains can occur. Thanks for your comment. Losing weight and then regaining it plus some is a typical diet pattern, and the biology behind that is well understood. I can see it might hold for weight loss surgery, too. This is different from a straight 100 pound weight gain. If it’s possible for someone to gain 100 pounds in a year without overeating and not in a losing-regaining scenario, it is a very rare metabolic condition. But my concern is not Marianne per se, it’s the GMA story and the message it conveyed to viewers. The GMA story implied that if you stop dieting, you will gain 100 pounds in a year. That is absolutely NOT the case for the VAST majority of people. The GMA story will scare more people into dieting, and that is a shame. Dieting doesn’t work and brings misery to the lives of millions. What does work is to stop emotional eating by learning true self-care, and to reconnect with your inborn body wisdom of what and how much to eat. This frees people from weight obsession and food cravings, and in most cases returns people to their normal weight. I have heard of people with elevated setpoints not losing weight or not losing as much as they want, but I have never heard of someone gaining 100 pounds in a year while eating nourishing whole foods in accordance with body wisdom. If Marianne wants to be a spokesperson for not dieting, then I wish she’d say, “I gained 100 pounds in a year, but I am not typical – there’s something weird about my metabolism.” or “I gained 100 pounds in a year, but I have emotional eating issues that I’m still struggling with.” Or maybe she simply should not be the spokesperson for not dieting because her experience is atypical and conveys a misimpression of what most people can expect. Perhaps it’s okay to have the fat-positive people who are heavy TOO…Acceptance where you are is great, and important. Maybe in time those of us with self-acceptance will change our eating habits. A good friend is learning to eat really healthfully AFTER accepting herself and refusing to diet. The Munter/Hirschmann/Canter/OANonDieters/Roth-ians, etc. can get along just fine with the Wann’s. We’re closer to each other than we realize, and emotional eating is something that should be treated with love and acceptance, on ALL LEVELS. That’s my take on the issue. I don’t think we should waste time criticizing the fat-positive movement, but show the world how we can lose weight if we so choose through intuitive/mindful eating and acceptance. I am a morbidly obese person and I totally believe the reason I got to this weight is “diets”. Of course I am an emotional eater but everything started when I was a pre-teen (or before that, my first diet was when I was 8). I learned to associate food with comfort because I was being deprived and that is how I started with 20 lbs overweight and became 150 lbs overweight in 20 years. Obviously, diets dont work and having a healthy approach to food is the answer I believe. Now I wanted to ask something to Sheryl if possible: please correct me if I am wrong but I remember reading you saying it is ok to lose the weight gradually just by normal eating “unless you are morbidly obese or are more than 100 lbs overweight”. Do you still believe that? if so, what do you think it would be a good approach for people like me? I don’t doubt at all that constantly trying to diet is how you ended up very fat. The endocrinologist Diana Schwarzbein says in her book “The Schwarzbein Principle” that chronic dieting and the rebound effect that follows is a primary reason for morbid obesity. I did not ever say that very overweight people cannot lose weight by eating normally – I would never say that. I did say that there is no health penalty to being overweight unless you are very overweight. Many people who are only slightly overweight are needlessly desperate to lose a few pounds. Once your health is affected, an urgency to lose weight has more basis in reality. That’s the only point I was trying to make. I do think Normal Eating would be a good approach for you – or for any emotional eater. Normal Eating directly addresses the problem of emotional eating so you can learn to listen to body wisdom again and eat normally. If you don’t address the problem of emotional eating, nothing else will ever work. This comment surprises me a lot. I mean, I didn’t come away from FA blogs or from that story on GMA thinking what you describe at ALL. I came away thinking that a lifetime of dieting causes women to then gain weight. And one of the women interviewed, while “overweight”, has actually still maintained a loss of about 100 pounds compared with what she used to be. She just isn’t as thin as she was when she was actively bulemic or anorexic. But she doesn’t go on and on about this because that’s not the point of the movement. The biggest thing I’ve always gotten from the FA movement was that DIETS DONT WORK, and they only make you fatter in the long run, for the vast majority of people. Also, I too sometimes look at people who are very overweight or obese and think “okay maybe a little fat is just their natural weight but THAT is too much NOT to be the result of emotional or somehow unhealthy eating.” But then, where do I draw the line? How fat does someone have to be for me to assume that about them? And who the hell am I to assume anything? So I guess I just reserve judgment and try not to assume anything. You know, I do find a lot of what you’ve written useful. Though sometimes I think – well – what if I eat normally and am still “overweight”? And also, you mention health issues as the mark of when it’s a “problem” – I have somewhat high cholesterol. But I also had that when I was thin, so it’s not clear that the weight caused it, and besides, maybe this is as thin as I’m going to get without dieting (which, as you say, will eventually make me GAIN again so what’s the point of that). So a lot of vague things are blamed on weight, even if you’re only 10 pounds “overweight” or not at all (I was told by doctors to lose weight even when i was thin, and i’m sure you can imagine where the dieting led me). So what I’m trying to say here in a very messy way is that i think some people do eat normally and end up fat. And the countless people who eat normally and end up with “normal” weight – well good for them. But what are the rest of us supposed to do? And telling us it’s because we are emotionally eating still, or not eating normally enough, would be just like a diet plan blaming the dieter for not losing enough – I don’t like when someone just assumes their plan must work for everyone just because it works for some or many even, and then to those for whom it doesn’t work, they say “that’s because you’re not doing it right”, haha, so I’m sure you’re not going to take that approach. Well, anyway, back to my original point – FA is a very very strong proponent of the idea that one does NOT need to diet to control their weight, that it only makes one gain weight, and also that we can’t just pick a random weight and expect to be able to diet ourselves down to that and maintain it. > i think some people do eat normally and end up fat. The truth of this statement depends on how you define “fat”, and also how you define “eat normally”. But is it possible for someone to be very fat – 100 pounds overweight – without overeating? That’s hard to imagine. It’s even harder to imagine how someone could gain 100 pounds in a year without overeating. The person representing the non-diet approach in the GMA piece went from 200 pounds to 300 pounds in a year. The implication for viewers was that anyone who stops dieting will gain 100 pounds in a year. That is absolutely not the case, and it was a very unfortunate message for viewers. A person who is actively overeating is not a good spokesperson for the non-diet approach, and you simply cannot gain that much that fast without overeating. We’re talking about GAINING weight, not maintaining or being unable to lose. “Eating normally” means eating according to body wisdom. 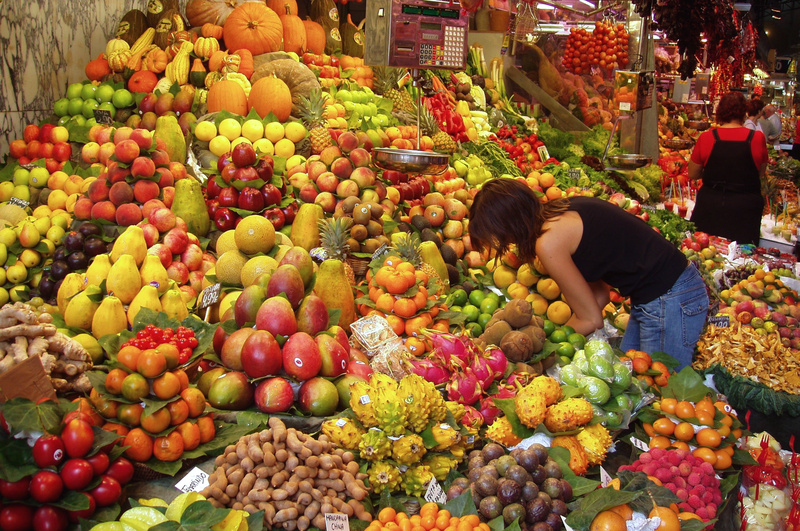 This not only means eating for hunger, but eating for the body’s other nutritional needs, as well. If you’re eating a lot of processed foods, it’s very hard to eat according to body wisdom because these foods are engineered to bypass body wisdom. If people eat normally, they will return to their normal weight. For some people, “normal” is not rail thin – especially once your setpoint has been inflated. But nor is it morbidly obese. I don’t think anyone’s normal weight is morbidly obese. The Normal Eating Support Group has existed since 2002, and over the years I’ve worked with many people. I have heard people complain about ending up 20-30 pounds heavier than they wanted to be, but I’ve never seen an instance of someone who was 100 pounds overweight without overeating – either due to emotional eating, or compulsive eating of junk food. I’ve certainly never heard of anyone gaining 100 pounds in a year while eating normally. It’s easy to slip back into caring and worrying about weight, and it’s easy to slip into thinking about losing those ten pounds, and then ten more, etc etc. Despite the fact that I see women who have done that and then continue to obsess and worry and aren’t any happier. Why is that so easy to forget? Ha. I don’t know if anyone is still reading comments here, but I was glad to have found some discussion about the FA movement. I’ve been reading Kate Harding’s blog for a while, and also read the book she wrote with Marianne Kirby. I think they have a lot of good ideas. I especially like the feminist slant that Kate Harding’s website has. I’ve learned a lot from it. They ARE very careful about which comments they allow through. They don’t tolerate anything that isn’t 100% supportive of FA. My impression is that they developed that defensive stance because of all the horrible flames and trolls that they get, and I don’t blame them. I also know that they are trying to create a safe place where people won’t have to deal with diet talk. I think the FA movement has its place. It is challenging the prejudices against overweight people, and that is only a good thing. And, as others have said, one of the main ideas about FA is that a person will stabilize at a normal weight if they eat normally. I don’t know what the deal is with Kirby, and there are lots of other people in the FA community that are very obese. But *shrug* I don’t worry about it. It’s their business. About BMI: I know that I personally don’t fit into the BMI charts. I did some calculations based on my fat percentage, and I figured out that if I had 0% body fat I’d be in the mid-range of “normal” and if I had 25% body weight (which is average for a woman) I’d be in the mid range of “overweight”. Yes, I see all the comments. Thanks for adding your perspective. Hi, another Kate Harding reader here. I’ve been reading her blog for a few months now, and poking around your blog for the last couple days. “I posted a comment on Marianne Kirby’s blog, but she deleted it. Interesting to note that it’s a censored blog! You said basically what you said here? That you abhor fat prejudice, but Marianne Kirby was obviously an emotional eater, and someone that fat shouldn’t be speaking for the Fat Acceptance Movement, and YOUR weight loss program was different from all the others? Sorry, but I can’t blame her for banning you. Doing that and then complaining that it’s a “censored” blog makes you sound both petulant and obtuse. One of the beliefs common in Fat Acceptance is not just that there shouldn’t be fat prejudice, but that it has not been proven that losing weight will turn your health risks into those of a thin person, and that a way to permanently change a fat person into a thin person has not been established in any case. Now, most of the ways that people have tried to lose weight in recent history have been diets/low fat eating + exercise, so that doesn’t say much one way or the other about Normal Eating. But if they gave the floor to someone every time they wanted to discuss their New And Different (even though maybe YOURS really IS different!) method of weight loss, that’s all they’d ever talk about. I LIKE the fact that their blogs are heavily moderated and they can talk about something else without always getting derailed into weight loss discussions. But they’re not encouraging the idea that diets are the only way to control weight. 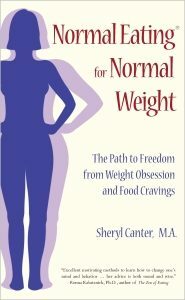 They’re encouraging the idea that there IS no permanent way to control weight. The GMA segment didn’t do a good job making that clear, but the people interviewed are not in charge of the editing process and can’t just talk about whatever subject they want when they are interviewed. Oh, boy. This whole nation has an eating disorder in my opinion. We eat too many processed crap foods, eat out too much, move too little – is it any wonder we’re overweight and morbidly obese? Throw in Hollywood where you have to sport the body of a God or a Goddess and you have wannabes starving themselves to look the same way. All we need to do is eat real food in sensible quantities and get off our duffs on a regular basis. That’s how you stabalize at a normal weight. It’s really that simple. Every american needs a ticket to a food-challenged third world country. What I don’t understand about the FA movement is that it seems to have an alternate meaning for “eating normally”. There seems to be an idea that “eating normally” is “dieting”. I live in Texas, though, and the food stereotypes are real. My mother belongs to a social group where the ladies are all literally twice the woman I am. “Eating normally” here means large portions, fried if possible, and heavy on the gravy. There is always dessert. And Heaven help you if you don’t clean your plate! Even the vegetables are cooked in fat. It’s not a real meal if you’re not stuffed to the gills. They would consider my “eating normally” to be a permanent diet, and their own overeating to be “eating normally”. I don’t want anyone to feel badly about his or her weight, and I think people to tease about it are, well, something I won’t put in print. I wasted enough time feeling badly, myself. My mother, whose weight issues are more complex than just food, does that and it makes me unspeakably sad for her. I do feel, though, as though we’re using the same word to mean two different things. For example, in my experience as a personal trainer, there was one group of people who lost weight with relative ease and kept it off with little or no angst: relatively normal eaters in stressful, sedentary jobs who did no vigorous kinds of exercise. Oftentimes, the introduction of a half-decent exercise program would lower the stress, reduce emotional eating (including just eating out of boredom,) increase the interest in better fuels, and result in a drop of those 15 or 20 or 30 pounds.